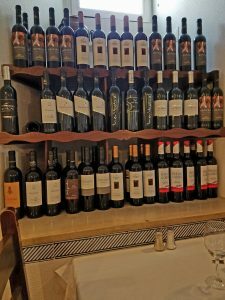 Many European countries have great food (Italy, France and Spain, we are all familiar with). 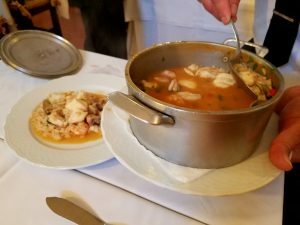 That said, in Portugal you will probably never have a bad meal-the food is that good. 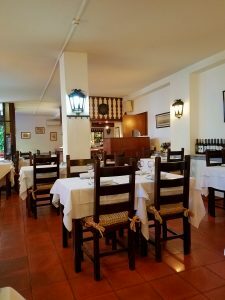 Freshly caught fish, well seasoned meats, fresh fish and vegetables, homemade bread, delicious desserts and great coffee-this is Portugal’s food scene and it can be found anywhere, from the elegant 5* restaurant to the small cafe on the corner. 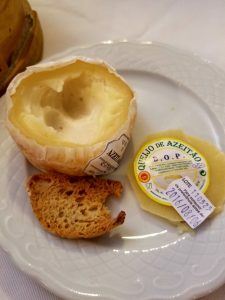 Portuguese people are serious about their food and take great pride in it. 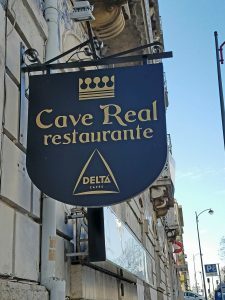 I had one such experience at a restaurant called Cave Real (Royal Cave). 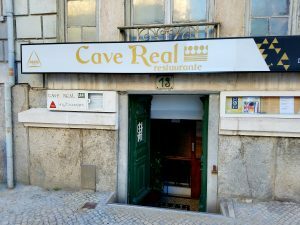 Situated in the Saldanha district of Lisbon, the small family run restaurant has an entrance five steps below street level and it looks like you are going down into a cave. That is, until you enter and see the cozy dining room. The owner himself will take your order. He will start you off with some fresh cheese, olives and bread. 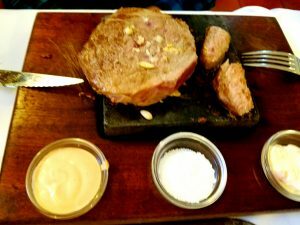 One of the specialties of the house is Bife na Pedra (Beef cooked on a stone). 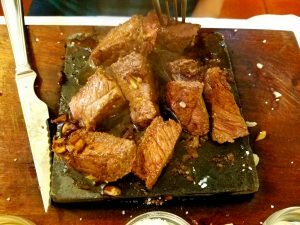 First, a stone slab is heated in the oven at several hundred degrees and then brought to your table with a nice uncooked steak on it. The steak has garlic, salt and pepper for seasoning and other seasonings are placed on the side to use if you wish. 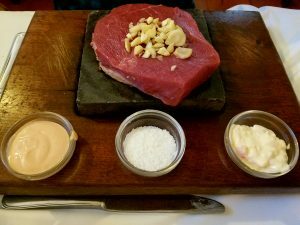 You will then cook the steak on the stone. Next, you will brown the steak on both sides. 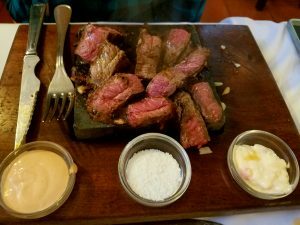 You will then cut the steak and finish cooking it on the inside to your liking. For the meat eater-absolutely mouth watering! 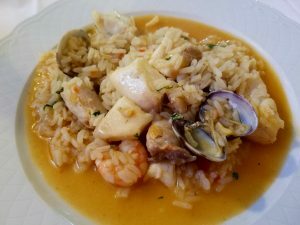 Another special is Arroz rico a Garoupa (Portugues seafood rice) in this case made with fresh grouper. It is served in an iron pot with shrimp and rice cooked with the fish. It is almost like a risotto and is also delicious. 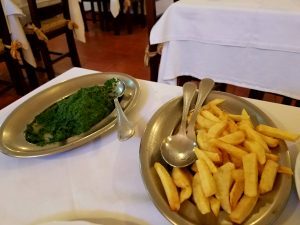 The typical fried potatoes and spinach are served on the side. The meal was excellent! 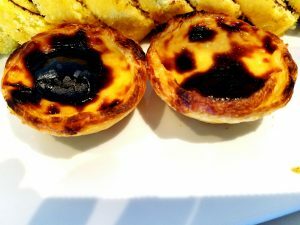 I did not eat dessert at Cave Real because one of the restaurant workers at my hotel said they were serving the famous pasteis de nata (Portuguese egg tart) in the executive lounge in the evening. This was too hard to pass up and was definitely worth it. Previous Previous post: Tram #28- One of the best ways to get a quick tour of Lisbon!